Game developer and cloud gaming pioneer Dave Perry has slammed the pricing strategy of competing cloud gaming service OnLive, claiming that the decision to charge gamers $15 a month subscription plus the cost of games can only benefit his own Gaikai service. 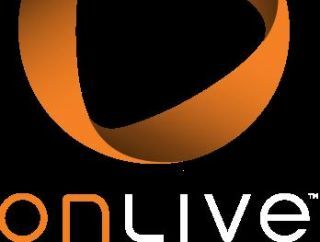 The excessive cost of OnLive's streaming service will drive people away, thinks Perry who said that OnLive's recent announcement on pricing at GDC has been a "shot in the arm" to his own Gaikai project. OnLive's streaming service will cost a subscription of US$15 per month on top of then asking users to pay for each game individually, which, according to Perry, is a fundamental flaw. "[OnLive] have done an amazing job with the user interface [but] the cost per data centre to do all of that streaming is very expensive," Perry told GamesIndustry.biz. "That's why they have a subscription. Would you pay US$15 a month for it? You're paying for the games on top of the service. You're paying US$15 only to have the opportunity to buy the games. US$15 gives you no games. If you decide, 'I don't want to keep paying that subscription', you've just lost access to your games bought at full price." He added: "We were just as surprised as everyone else when we heard the final business model. That's why it's a shot in the arm to us because now we're just perfectly positioned. You can play Call of Duty over there for US$15 or you can come here and try it for nothing. When you buy it from us, you own it, for the rest of your life. When you buy it from over there you have to keep paying a subscription to keep access to it." TechRadar has contacted Perry for further comment and more information on his own plans for Gaikai. Stay tuned for updates.